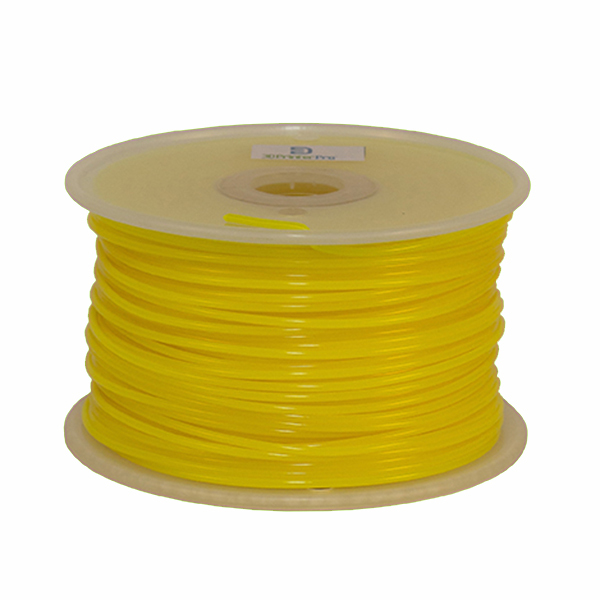 Yellow PLA 3D printer filament is sold in 1.75mm and 3mm diameters on 1 Kg (2.2 lbs) spools. Our yellow PLA filament offers smooth but bright color tone; perfect for the 3D printer who requires objects that are bright daylight. 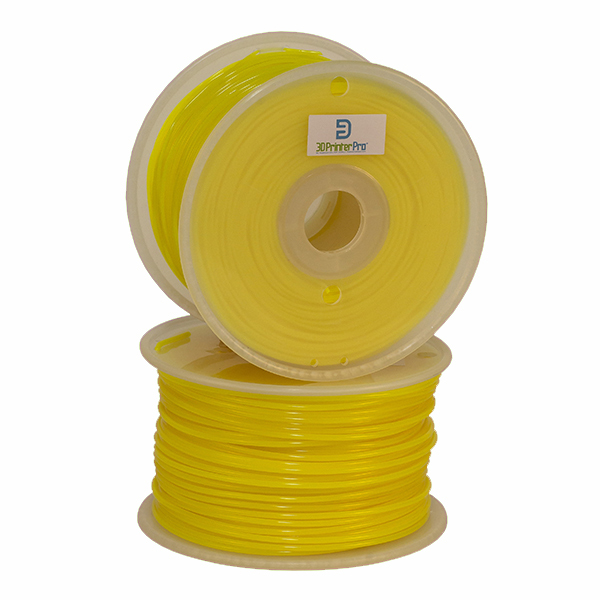 3D Printer Pro yellow printer filament is bright in color and warm in radiance. Either 1.75mm or 3mm yellow PLA 3D printing filament is optimized for premium performance on desktop 3D printers. Compatibility: Our 1.75mm and 3mm yellow Polyactic Acid 3D printing filament for sale is inspected, tested, and confirmed to work with all FDM (Fused Deposition Modeling) 3D printers. This includes popular brands such as Printrbot, Ultimaker, Afnia, Up!, Type A Machines, Solidoodle, Flashforge, Airwolf3D, Makergear, RepRap, and Makerbot (Replicator and Replicator 2). 3D Printing Helpful Hint: When storing 3D printing filament, make sure to add desiccants to your containers. 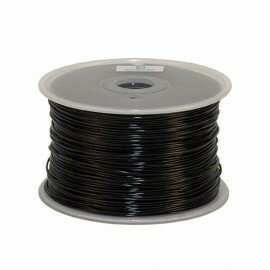 Desiccants are a great way to absorb humidity and protect the integrity of your filament. They are inexpensive, offered in disposable or reusable form, and can be purchased in bulk from online outlets such as Ebay or Amazon. Fun Fact: Psychologically, yellow is considered the happiest color of the spectrum. 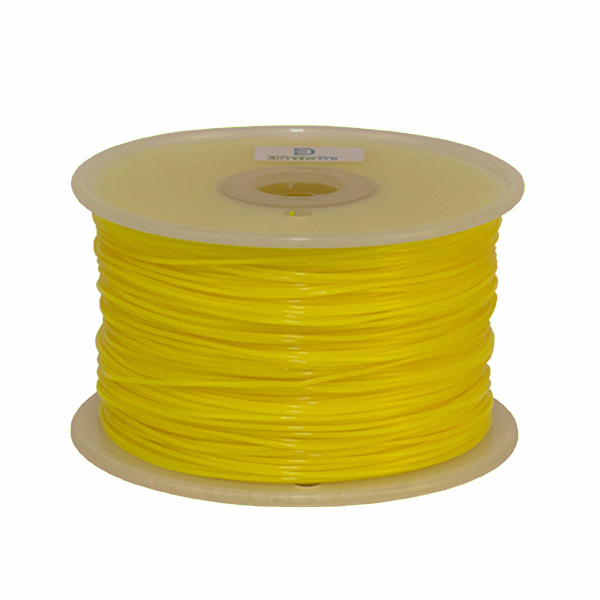 Have a question on yellow 3D printing filament for sale in either 1.75mm or 3mm diameter? Contact us for additional sales help.